The WHO-recommended shorter nine month regime to treat Multi-Drug Resistant (MDR) tuberculosis is not included in the national policy of India, which has the world’s highest burden of the disease, a report has said. In 2015, 2.8 million people fell ill with tuberculosis in India and 4,80,000 people died due to the disease, it said. Two days ahead of the G20 summit in Germany, Medecins Sans Frontieres (MSF) and the Stop TB Partnership released the third edition of ‘Out of Step’, a report highlighting the need for governments to increase efforts to combat TB. According to the report, “National policy includes the WHO-recommended, nine-month (shorter) MDR-TB treatment regimen (marked by red in the table) – signifying no. “National policy reflects WHO guidance on delamanid (medication) use for adults and children – No,” it said. In the category of whether the National policy reflects WHO guidance on bedaquiline use for adults, the report says,”Yes, but not widely”. The report said that smear microscopy is often used as the initial diagnostic test in the public sector in India, where up to 70 per cent of people are treated – and delays in diagnosis and treatment initiation are common. 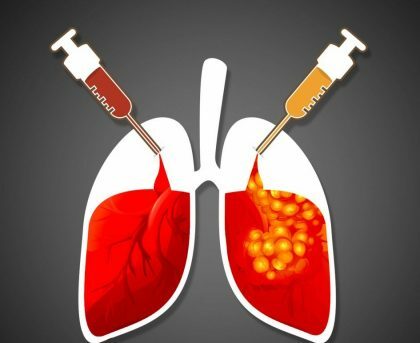 A study using Xpert MTB/RIF (automated diagnostic test or referred to as CB-NAAT) for initial diagnostic testing in 18 sub-district-level TB programmes reported an over five-fold increase in the detection of rifampicin resistance, it said. “However, India’s public-sector programmes still use smear microscopy as the initial diagnostic test, except in people with presumptive DR-TB or extrapulmonary TB, children, and people living with HIV,” it added. The reporrt pointed out that access to Xpert MTB/RIF is limited to India’s reference or tertiary hospitals, which increases the risk of loss to follow-up before a confirmed diagnosis. The report reviews TB policies and practices in 29 countries – which account for 82 per cent of the global TB burden – and shows that countries can do much more to prevent, diagnose and treat people affected by TB. In 2015 alone, worldwide 1.8 million people died of the disease. The majority (54 per cent) of the 10.4 million people with TB lived in the countries represented at the G20 summit. “TB is an ancient killer, but we have the knowledge and the tools to tackle this disease; many countries are just not making use of these advances, and people are dying as a result,” said Lucica Ditiu, Executive Director of The Stop TB Partnership. “We are calling on the G20 leaders to wake up and do something to stop the unnecessary deaths and the spread of TB, including drug-resistant TB,” Ditiu added.